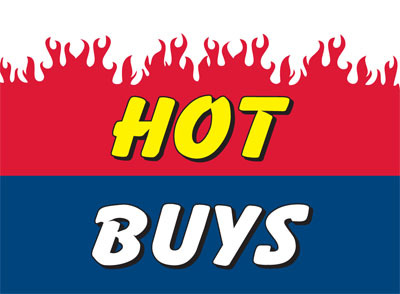 Our Buy Here Pay Here Car Flags feature an upper red field with a fire design and bold yellow text outlined in black reading "Hot." 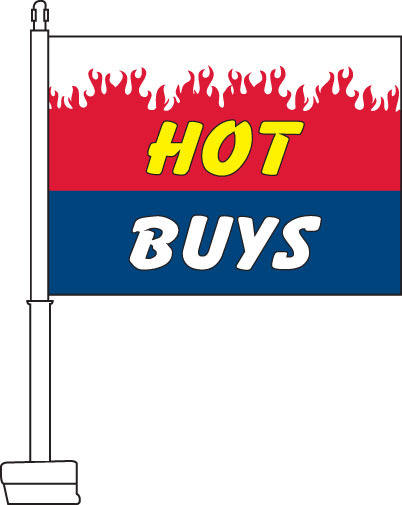 The lower portion of the flag is comprised of a blue field with white text outlined in black that reads "Buys." 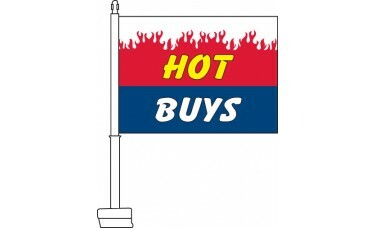 This flag is a great way for used car dealerships to attract new customers.